At Thanksgiving years ago I made a pickled carrot recipe from Gourmet magazine, which my family loved. It's become a holiday staple. 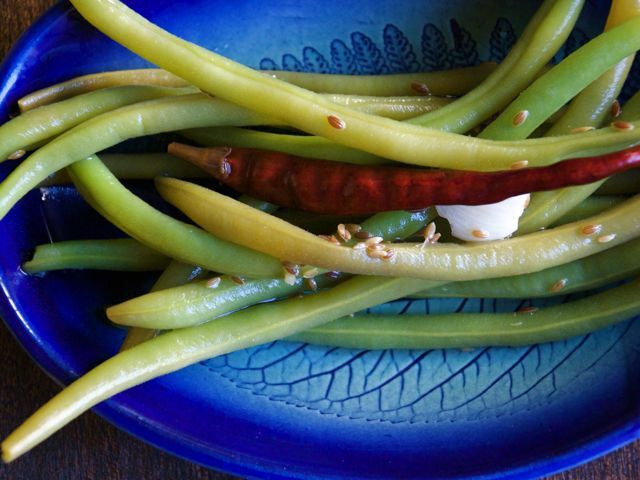 Recently, when a friend asked if I had a recipe for quick-pickled green beans, I thought of those carrots. Voilà! These make a nice addition to a picnic or appetizer spread. In a large saucepan, in gently boiling water, blanch the green beans for 3 to 5 minutes, just until tender. Drain in a colander and rinse with cold water to stop the cooking. Transfer beans to a heatproof container.